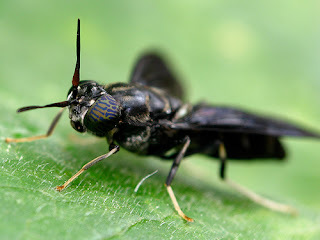 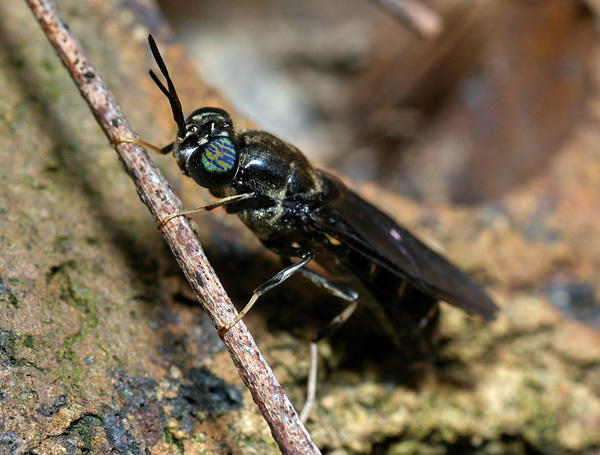 Black Soldier Fly or Hermetia illucens is a common and widespread fly of the family Stratiomyidae, whose larvae are common detritivores in compost heaps. Larvae are also sometimes found in association with carrion, and have significant potential for use in forensic entomology. 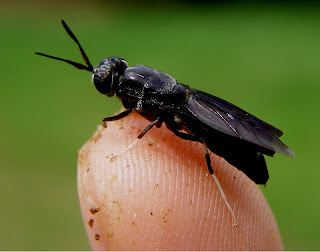 Black soldier fly larvae (BSFL) may be used in manure management, for house fly control and reduction in manure volume. 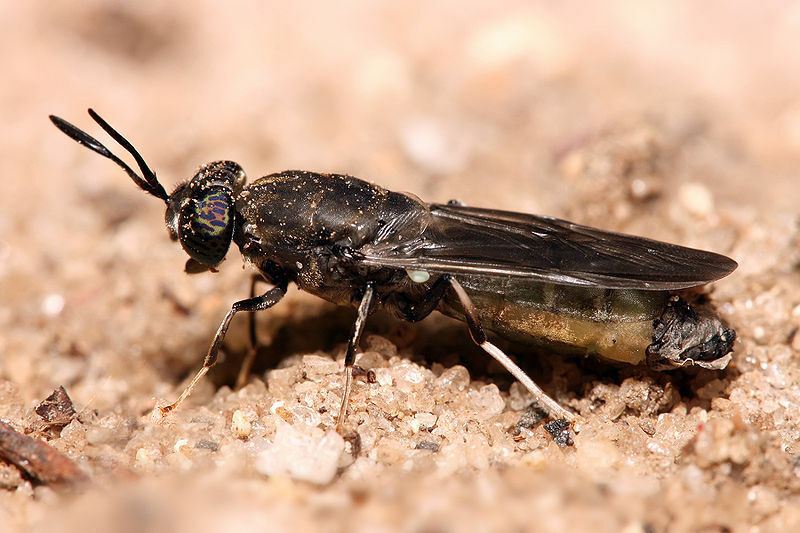 Mature larvae and prepupae raised in manure management operations may also be used to supplement animal feeds.